Thanks so much for signing up! 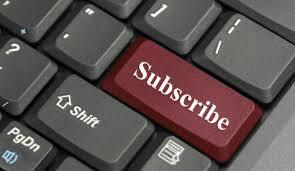 You should be receiving an email from admin(at)theclassicalgirl(dot)com, asking you to confirm your subscription. If you don’t receive this email, it might mean your spam filter thinks The Classical Girl is spam. Nooooo! As a preventative measure, you might want to put in the above address as a “safe sender” in advance. Thanks, and I’m looking forward to sharing my musings with you! My heart and my brain are so desirous of talking Classical Music with others. The lewd, the crude, and the vulgar have become the staples of society, and my soul is hungry for nourishment and intelligent conversation and sharing. I purchased an IPAD in March of 2013, and am not completely tech-savvy yet! My favorites in Classical Music are Schumann, Tchaikovsky, Mendelsohn, Beethoven, Brahms, Dvorak. Not too much modern, except for Gershwin, Copland, Bernstein. Not at all a fan of senseless noise. What do you like? So glad to know there’s another classical music lover out there, who wants to talk about it all. That makes me so happy! Give the archived selections under “classical music” a read, and I would be thrilled if you joined in those conversations, too. And if there’s not a conversation, ooh, please start one! I will always respond. I just saw your emailed comment, Seljuk – so glad you found the link! I wish there was a “like” button – that would be great. But when I tried to install a “floating,” more obvious subscribe/like button, it messed up the other “subscribe” and I shrugged and thought, “keep it simple.” Thanks so much for your interest in subscribing! I am a former dancer as well from the Philadelphia area that also took up cello and violin as an adult. I too am a published author of six children’s books grades 4th through 8th grades. The last four books should be out by the first of the year. Your stories brought back a lot of memories for me. Thank you. So all pointe shoes don’t have any elastic or ribbon on them, they are just the shoes themself? Correct. The wearer of the shoes has to sew the ribbons and any elastic on themselves.The ribbons come with the pointe shoes, though.